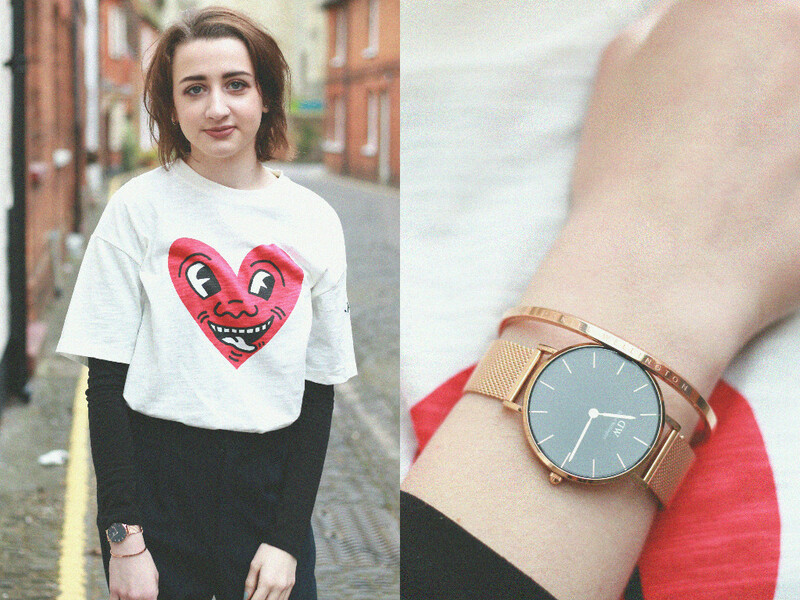 Guess who’s back with another outfit post?! The kind people at Daniel Wellington asked me if I would like to collaborate with them, for their brand new launch. Their Classic Petite Collection*. A super exciting launch, that has Kendall Jenner as the face of it – so cool! So, what a great excuse to do another outfit post. 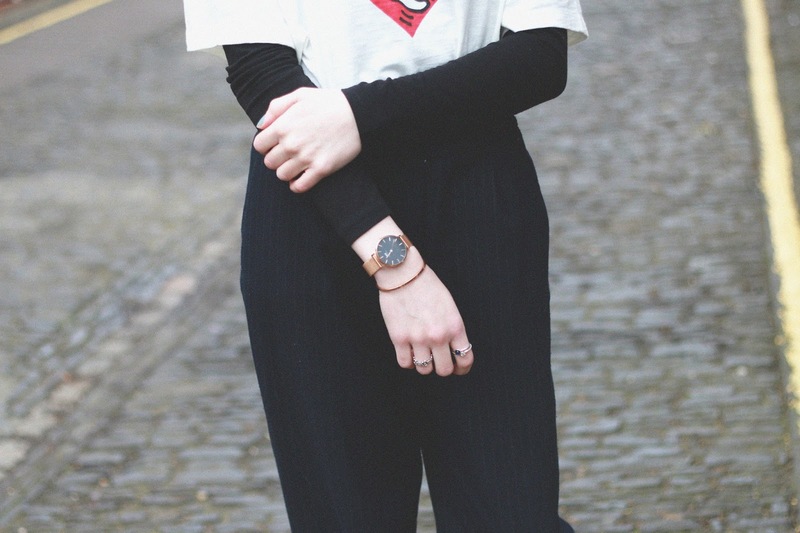 The particular watch I’m wearing is the Classic Petite 32mm Melrose*. Which has a rose gold mesh strap, and a black dial, seriously gorgeous! I’m not gonna lie, I’m pretty obsessed with this and have worn it every day since it landed on my doorstep. Its something completely new for Daniel Wellington, but I love the direction they’re heading! Anyway, onto the rest of the outfit. I’ve been wanting to share my style on this blog for such a long time, and I finally feel like I’m having the chance to do just that. My pinstripe trousers are from Zara, and I’ve got so much wear out of these. They’re extremely comfy and go with a lot. To go along with these, I’ve just popped on a plain black long sleeved tshirt and my Keith Haring top from Uniqlo. I’m obsessed with this, and at only £12 it was an absolute bargain. I think it really brightens the rest of the outfit, and gives it a focal point. 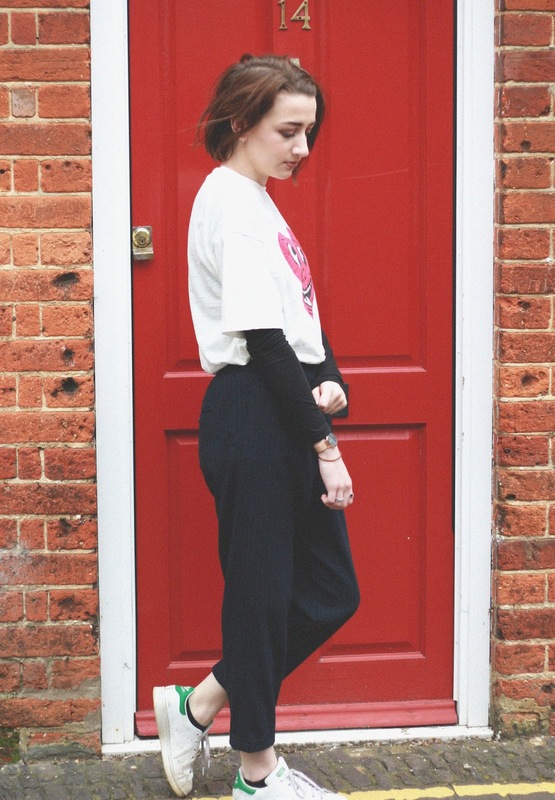 And this wouldn’t be a outfit post without my trusty Stan Smith’s haha, they go with everything. If you fancy grabbing yourself one of the new Daniel Wellington watches (or any for that matter) I have a 15% off discount code for ya, just use ‘FOREVERSEP15’. Hopefully I’ll be back again with another outfit post soon!